Here is a free resource to help as you build your classroom community with a focus on being kind to each other. 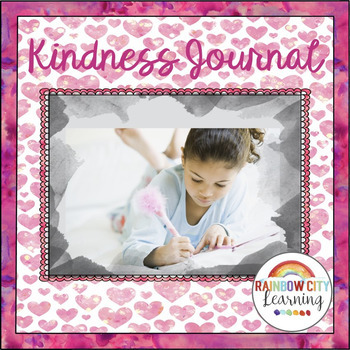 A kindness journal is a wonderful way to focus on the positive in our lives at any time of the year. Noticing the ways in which we experience kindnesses offered by others and contemplating the ways we can choose to be kind is a joyful and validating exercise. This resource contains two softly colored student lined and unlined journal pages and ten simple prompts. Plain white lined and unlined pages are also included, along with a front cover.